Today's post was written by Ben Souza, cruise marketing expert. 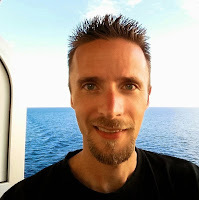 He has written over 1,000 articles on cruising and currently takes 8-10 cruises a year. As the cruise industry continues to grow at a rapid pace, cruise lines are listening to their guests and are making changes. In addition to keeping their guests happy, these changes are also being made to attract the valuable first-time cruiser. Here are nine changes happening to cruises. Dress codes have dramatically changed on cruises and are now much looser than they were just 5-8 years ago. On one cruise I was recently on, the dress code was called a “suggested dress code” and not mandatory. As dinner has become more casual, formal nights have begun to disappear. Celebrity Cruises replaced formal nights with a more relaxed “evening chic”. The world’s newest ocean cruise line, Viking Ocean Cruises, doesn’t offer formal nights on their four cruise ships. Also, when Richard Branson launches his first Virgin cruise ship in 2020, there will likely be an absence of formal nights. Cruise lines are announcing a record number cruise ships that will be debuting over the next decade. There is one thing that most of these ships have in common, most of them aren’t going to be small ships. The new normal is for 150,000+ gross ton ships with several cruise lines (Carnival Cruise Line, MSC Cruises, Royal Caribbean) announcing ships that will be in the ballpark of 180-200,000 gross tons. As cruise passengers carry more and more electronics with them on a ship, there has never been more of a need for power outlets than today. On my first cruise, there was a grand total of one power outlet in the entire cabin. Passengers have always had to bring power strips to charge all of their cell phones, cameras, tablets, laptops etc. New cruise ships are not only adding additional power outlets in cabins but also ever so handy USB ports. On my last cruise on Viking Sea, there were a total of 9 USB outlets in addition to four power outlets in our stateroom. Norwegian Cruise Line has been adding USB ports to cabins when ships go into dry dock. Carnival Cruise Line is adding USB ports in the cabins on their new cruise ships. Also, MSC Seaside debuted a little over a month ago with USB ports in the cabins. Many of the mainstream cruise lines are starting to add new fees for things that in the past were included in cruise fares. From room service to some of the specialty restaurants that in the past were complimentary, be prepared to be “nickel and dimed” more and more in the future. Cruise lines are realizing that being connected is no longer an option, but a necessity for many travelers. 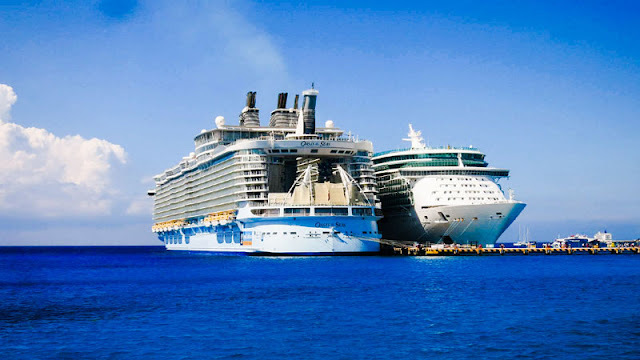 When Royal Caribbean launched their VOOM internet on Quantum of the Seas, it began a new era of not only cheaper internet (unlimited for under $20 a day), but also offered download speeds that are more on par with land-based connections. Carnival Cruise Line and MSC now offer social internet packages for as little as $5 per day (with discounts if purchased for the entire cruise) that let passengers connect to their favorite social media sites like Facebook, Instagram, Twitter, Snapchat etc. Competition to fill cruise ships has never been higher as cruise lines attempt to fill a large number of new berths that have been added over the past two years. 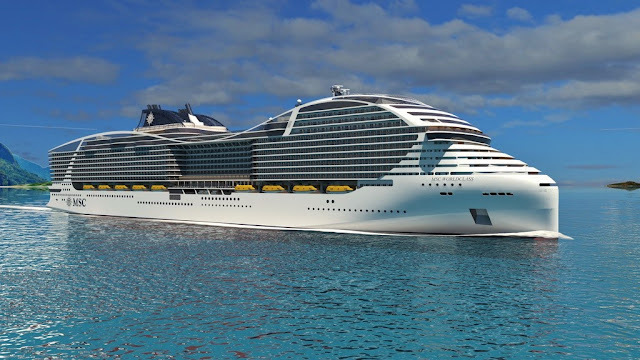 This year will see eight new cruise ships go into service and begin offering cruises. 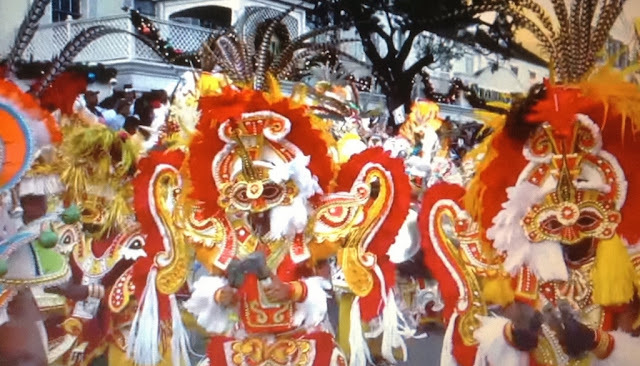 This has led cruise lines to offer all-inclusive packages to help fill cabins. Celebrity Cruises and Norwegian Cruise Line are currently offering free beverage packages when you book a cruise. Cruise lines are beginning to offer longer port stops as passengers want to spend more time exploring the ports that they visit. This was one of Viking’s main goals when they launched their ocean cruise line and their ships now spend an average of 12.1 hours in each port in Northern Europe. Princess Cruises and Carnival Cruise Line have also announced that some ships will spend more time in popular Caribbean ports. Look for this trend to continue with other cruise lines. 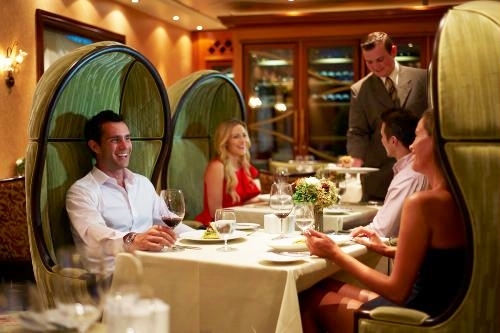 The main dining room is no longer the go-to place for dinner as cruise lines are adding more for-fee specialty restaurants on not only new ships but also when cruise ships go into dry dock. On some ships there are so many dining options, you can eat in a different restaurant for every meal and still not visit all of them on a cruise. The Oasis class ships from Royal Caribbean offer more than 20 dining options. Norwegian’s largest cruises ships have a ridiculous 25 different dining experiences. Cruise lines are taking the slogan, “Getting there isn’t half the fun, it is the fun” to an entirely new level. Between thrilling water slides, water coasters, robot bartenders, IMAX theaters, bumper cars, the North Star on Quantum-class ships, ropes courses, and 4D theaters, the lido decks on cruise ships are now loaded with thrill attractions.